Dmitri Zaikin, a member of the former Soviet Union's first class of 20 cosmonauts, died on Oct. 20, 2013 at 81. Dmitri Zaikin, who in March 1960 was chosen with Yuri Gagarin as one of the Soviet Union's first cosmonauts but who never flew into space, died Sunday (Oct. 20) after an extended illness. He was 81. "The bright memory of Dmitri Zaikin forever remains in the hearts of colleagues, friends, and loved ones," officials at the Yuri Gagarin Cosmonaut Training Center in Star City, Russia, stated in a release on Monday. "Dmitri had a great experience and knowledge of space technology." "Initially, they asked if we wanted to become test pilots," Zaikin said in a 1993 interview with researcher Bert Vis. "I said that every pilot dreams about that. Then they asked me, 'and if we asked you to fly into space?' I said I only knew about the first satellite [Sputnik], and [the first dog in space] Laika, and that [Soviet rocket scientist Konstantin] Tsiolkovsky had written about space. They said, 'We want you to be a cosmonaut.'" Zaikin's status as a cosmonaut wasn't known publicly until 1977, nine years after an exam revealed a stomach ulcer that disqualified him from flying in space, which in turn led to his departure from the space corps a year later in 1969. "We were asked not to tell anyone about why we had been asked to come," Zaikin told Vis, as reprinted in the 2008 book, "The First Soviet Cosmonaut Team: Their Lives and Legacies" (Springer-Praxis) by Colin Burgess and the late Rex Hall. Dmitri Alekseyevich Zaikin was born on April 29, 1932 in the small town of Yekaterinovka in southeastern Russia to Alexei Zaikin, who was killed at the Battle of Stalingrad in 1942, and Zinaida Grinenko. He graduated from the 10th Rostov Air Force School in 1951 and went on to qualify as a military fighter pilot and Air Force lieutenant by 1954. Zaikin was serving as chief pilot with the 95th IAD (fighter aviation division) in Belorussia when he was recruited for the burgeoning Soviet space program. While still a part of the cosmonaut corps, Zaikin graduated from Zhukovsky Air Force Engineering Academy in 1968, studying the operation of spacecraft and their engines. After his medical expulsion, Zaikin became a instructor at the Yuri Gagarin Cosmonaut Training Center, preparing his former fellow fliers for their spaceflights. In 1976, he was promoted to senior engineer, training cosmonauts for long-duration missions on the Salyut space stations. Zaikin continued serving the Russian space program until 1996, holding civilian posts after he resigned from military service in 1987. "Characterized by humility, [a] high sense of responsibility for his work, hard work, diligence and dedication... he was respected and [had a] well-deserved reputation among his colleagues," read the training center's statement. 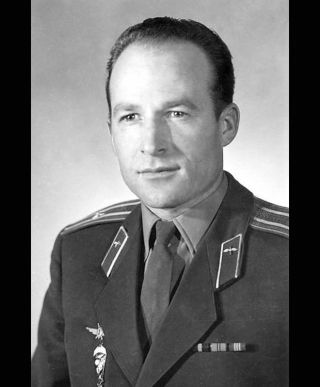 With Zaikin's death, only four of former Soviet Union's first 20 cosmonaut trainees are living; Valery Bykovsky, Viktor Gorbatko, Alexei Leonov and Boris Volynov. Zaikin is survived by his wife Tatyana and their two sons, Andrei and Denis.